17 July 2017 Unlocked content from the archive. As a baby, Bronte Mettlestone was left in the lobby of her Aunt Isabelle’s building by her parents, before they set off to have adventures. When she is 10, Bronte learns that her parents have been killed by pirates—but this is less important than learning that they have left a magical will requiring Bronte to journey alone to each of her 10 other aunts, all in different kingdoms. The Extremely Inconvenient Adventures of Bronte Mettlestone is a whimsical romp full of extraordinary aunts, dragons, water sprites, kidnappings, spell-casters and delicious food. And while the story seems at first to be mostly froth, as it goes along it develops surprising depth. Even as she has daring adventures, the story doesn’t forget that Bronte is only 10 years old. Her relationships with her aunts, the other children she makes friends with and the parents she never knew have a lightly sketched but very human complexity. And the plot pulls together its many threads into a neat and satisfying climax. It will appeal to middle and upper primary readers who are happy to tackle long books as long as they have some pictures. 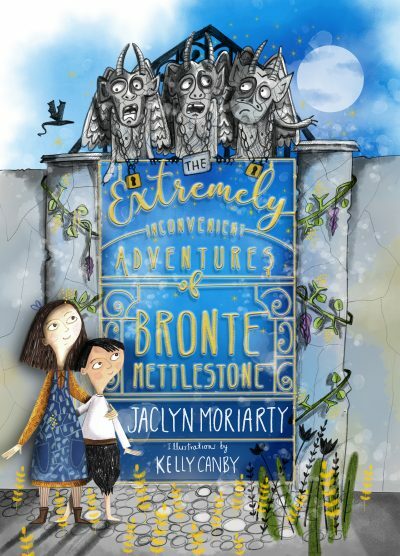 Many fans of Jaclyn Moriarty’s YA novels will also be delighted by the sympathetic and quirky characters of Bronte’s extended family.